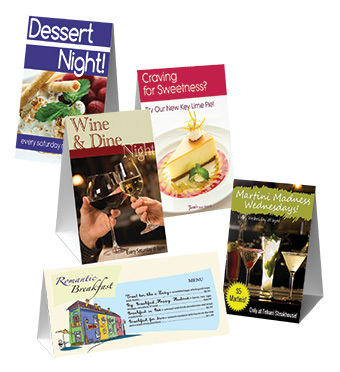 Custom table tents are a great way to advertise seasonal additions to your menu or keep your customers informed about hot items and popular selections. Our table tent printing experts can provide you with simple A-frame tents or help you create an elaborate flip display with multiple pages. Need to update your full menu? We can help with that as well. We’ll work with you to create an outstanding dining experience that highlights the best your business has to offer. 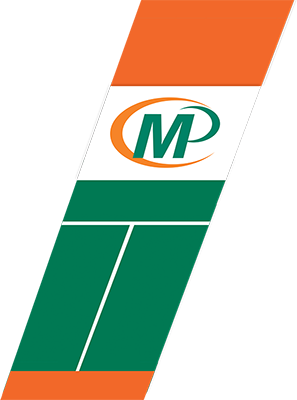 Visit Minuteman Press Lakewood today and discover how our talented marketing team can breathe new life into your promotional materials and showcase your specialties.